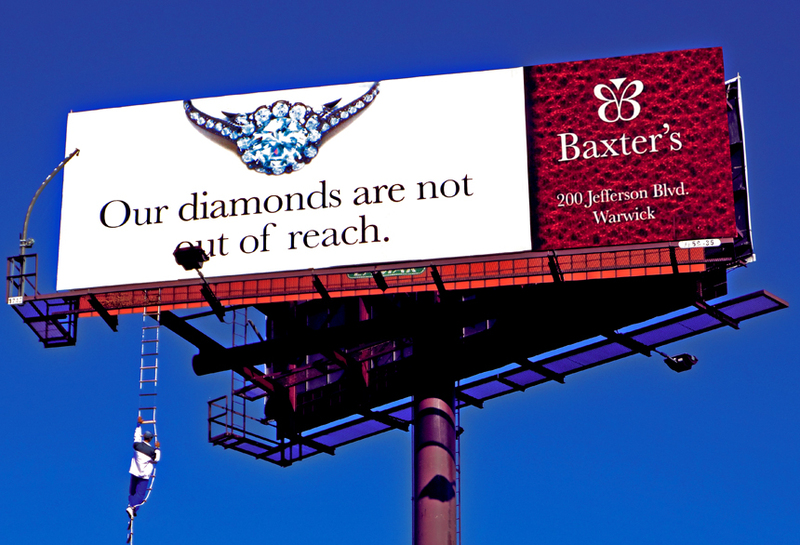 Baxter’s bulletin billboard campaign in Warwick, RI created significant buzz in the media as a result of its life like 3D extensions. The ladder and mannequin climbing it, compliment the simple message that ‘diamonds are not out of reach’. The originality of this billboard made it eye-catching and noticeable to the great number of commuters who passed by.